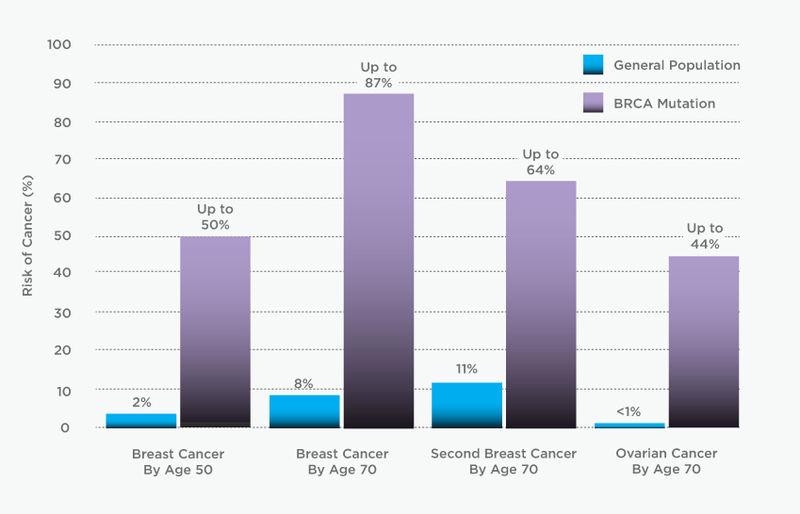 Approximately seven percent of breast cancer cases are caused by mutations in the BRCA1 or BRCA2 genes.1 People who carry a mutation in either of these genes have a condition called Hereditary Breast and Ovarian Cancer (HBOC) syndrome.2-3 They have an up to 87 percent risk of developing breast cancer by age 70. In addition, mutation carriers who have already been diagnosed with cancer have a significantly increased risk of developing second cancer in the future. Myriad offers genetic testing that can be used to identify people who carry a BRCA1 orBRCA2 gene mutation.